I chose this course and this pattern for several reasons. Not in any order – they are; [i] I really like Janet Pray’s Craftsy Classes. She shows you really practical and efficient ways of doing something you thought you were doing well for years [and were wrong] and [ii] I really wanted to move away from my usual style of jacket and stretch my skills a little. 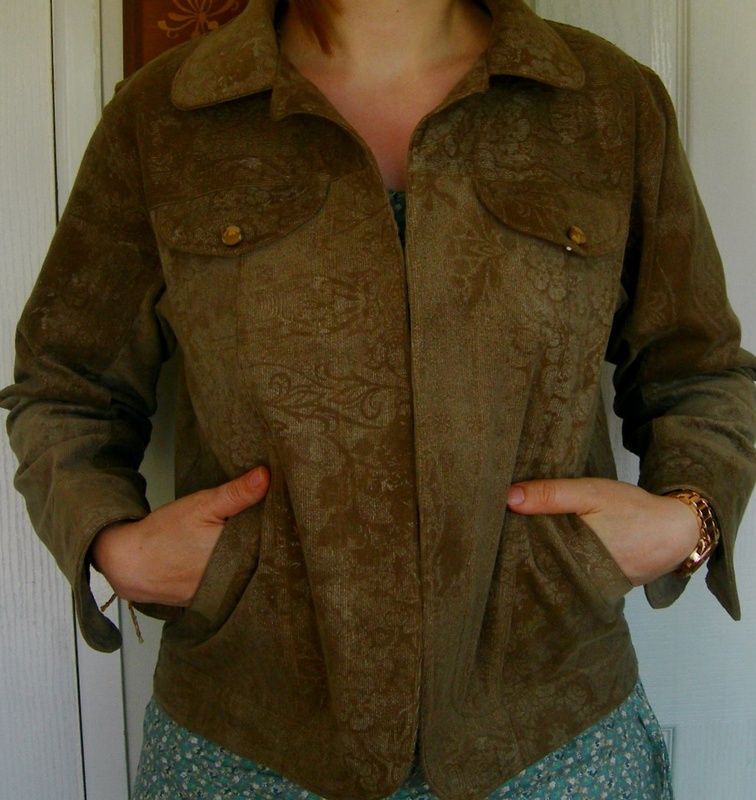 This jacket is a little out of my comfort zone for style and incorporates details I have never tackled before. A definite challenge and one I couldn’t resist. 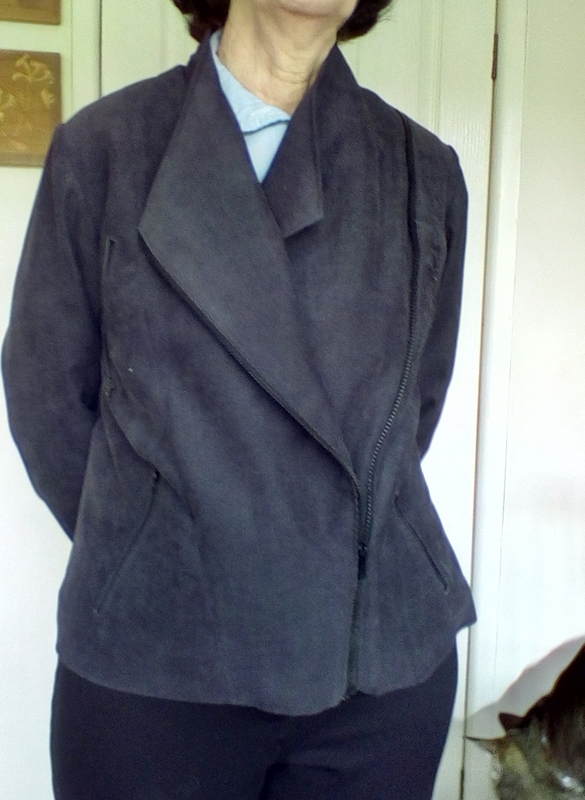 With the aid of a previous class I have made three of these jackets below with the help of Janet’s ‘Sew Better, Sew Faster’ course and I learned a great deal, so I’m glad I took that class. Janet has a clear and simple way of explaining and debunks many sewing myths we previously accepted without question. So how did I fare with this latest course? I won’t say that it was without some problems. Mainly of my own making. Mostly with buying the zips. The Motor City jacket has 7 zips. Four zipped pockets, a zip on each sleeve and an asymmetrical zip up the front. I originally bought all open ended zips and had to get the proper ones for the pockets as the open ended zips are generally too heavy and clunky to fit small pockets and unnecessary anyway. Despite having worked through one of Janet’s classes before and eventually getting my head round her order of working to sew the previous jackets, I still had to get used to it again this time which tells me that I didn’t adapt fully to this method to use at other times. Most of us are used to sewing a garment in the designated way the pattern dictates but Janet introduces as many industrial methods of working into a home sewing environment as possible which means sewing in an order you may not be used to but speeds up the process. The sewing is divided into sections which follow a logical order and all the sewing is done in that section before pressing. I must admit that is the hardest part for me, I am so used to pressing as I go – an inefficient way of doing things, but ingrained. I must admit it is far smoother to do things Janet’s way. This pattern is well drafted and the only difficult part for you to do is trace off the pattern accurately [rather like Burda, but less confusing] and add all the markings to your pieces. After that it is a piece of cake and it all goes together like clockwork. The instructions are clear [not like Burda] and the video and the booklet really leave no room for error. I have finished my jacket. 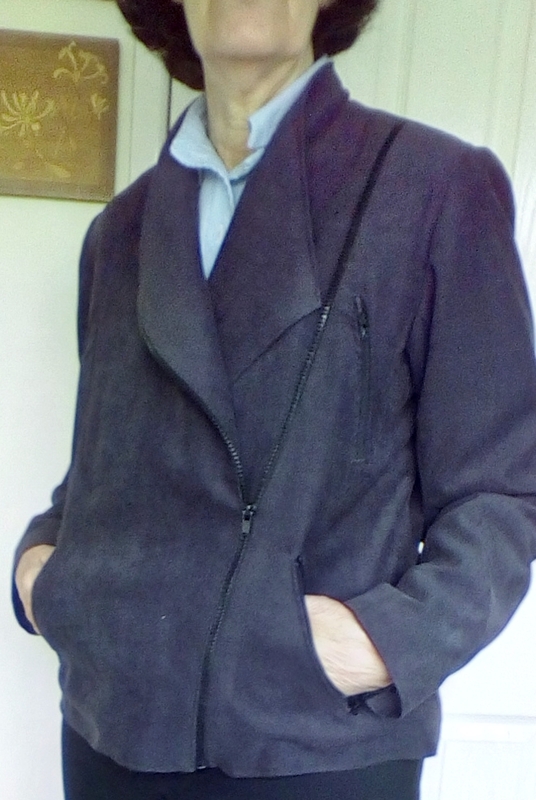 I made it in a charcoal fine needlecord and put in a black ‘silky’ lining, probably some form of man-made but quite soft and fine and used black zips. I had toyed with the idea of coloured zips but my natural conservatism [small ‘c’] won out. I am very happy with the finished garment and have already worn it a couple of times. #3 daughter tells me I mustn’t wear it with a skirt only trousers, so I have dutifully worn it with trousers so far, but it does feel a bit ‘biker-chick’, definitely not something I am comfortable with, so I shall be wearing it with skirts more often than not I expect. But I am most happy that I now have the confidence to tackle projects that at one time I would have avoided and my standards have gone up a notch. Thanks Janet. 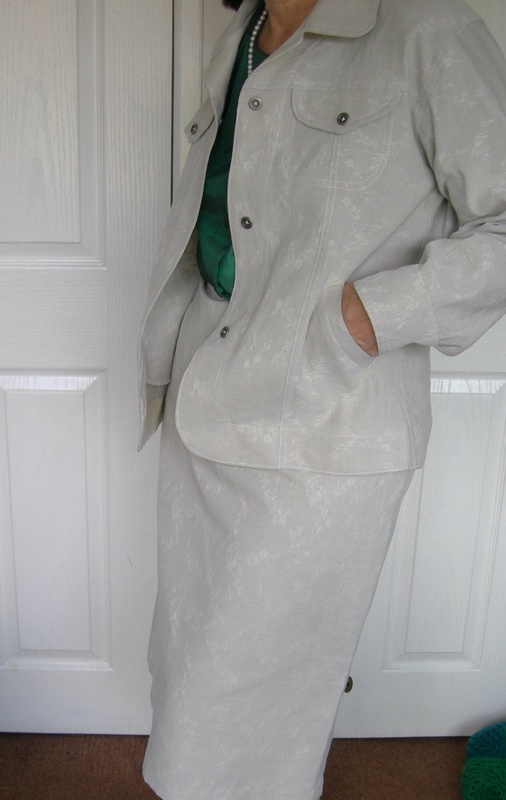 This entry was posted in coats and jackets, dressmaking, FIBRE CRAFTS, handmade, Life a Work In Progress, me-made wardrobe, Sewing, Works in Progress. Bookmark the permalink. You could definitely wear this with skirts! Maybe a pencil skirt made out of Ultrasuede or black wool with some leather piping. You’re definitely on my wavelength. It looks great. Really stylish. Thanks Lucy, I’m ‘growing’ into it!